Join us as Vancouver Whitecaps FC take on Portland Timbers this Saturday, October 28th at 1:30PM! The ‘Caps kick off the party with their famous "Party on the Patio" starting at 11:30PM. 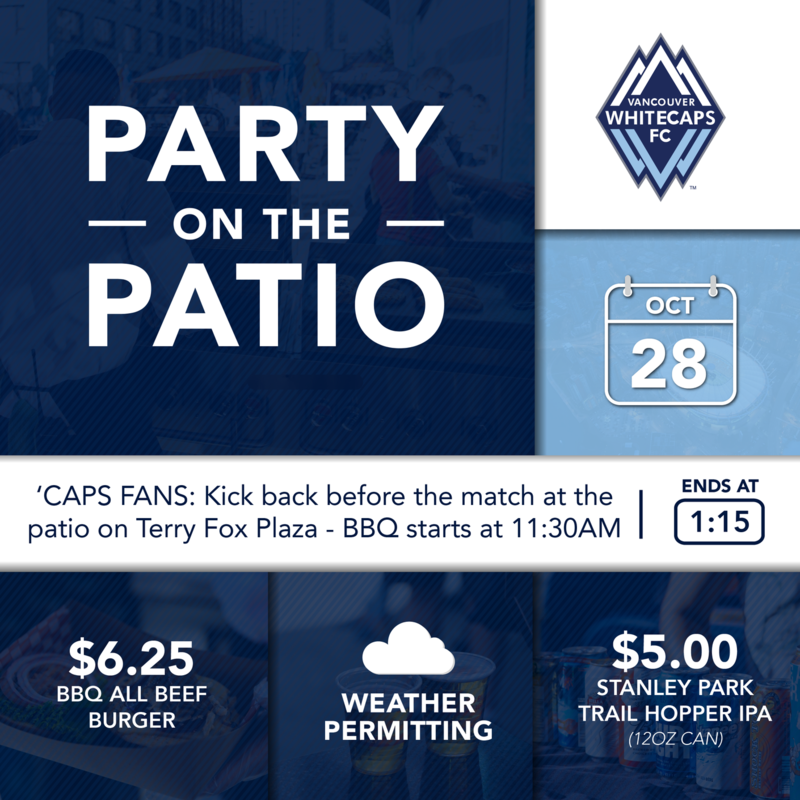 The best patio party in Vancouver kicks off at 11:30PM on Terry Fox Plaza (weather permitting) where we will be serving $6.25 house-made all beef burgers and Stanley Park Trail Hopper IPA 12oz cans for just $5.00. 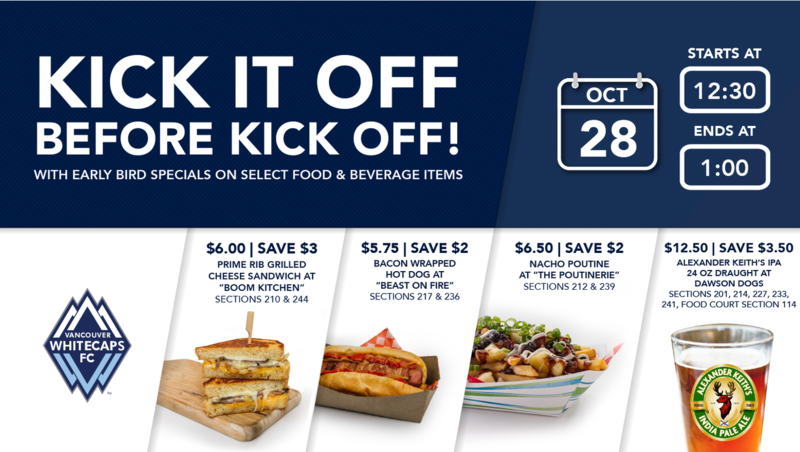 After the Party on the Patio, head inside BC Place for some delicious food and drink specials – served until 1:00PM.